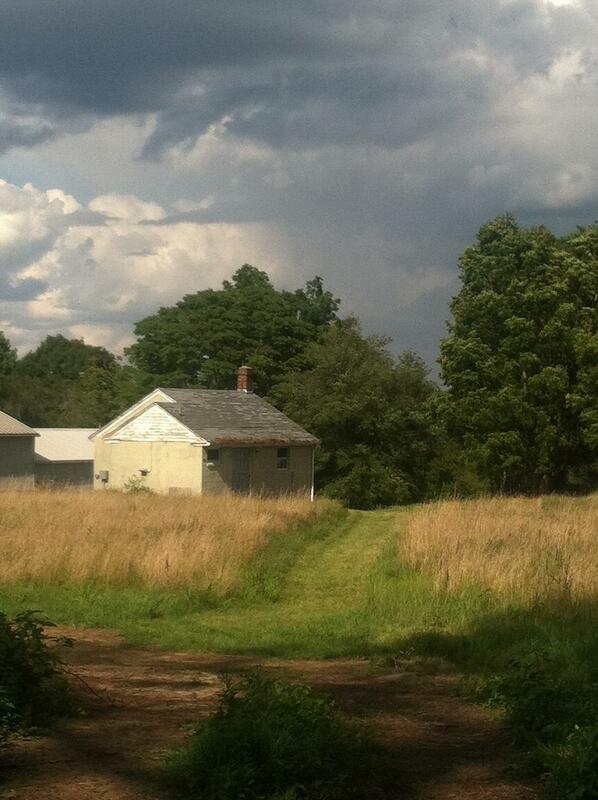 The prompt for 52 Ancestors/52 Weeks is Memorial Day. 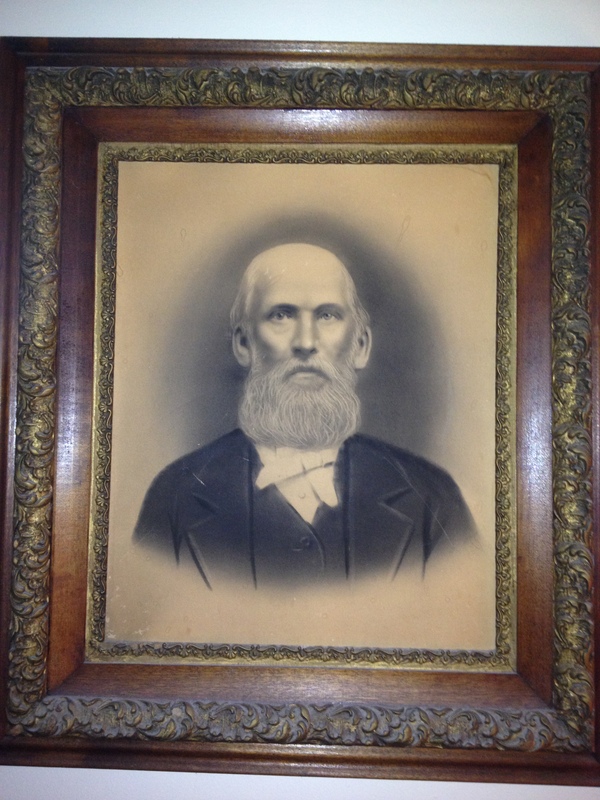 Phillip MARTIN, my 2nd great-grandfather, was born 30 March 1831 to Joel E. MARTIN and Sarah GILL MARTIN. He was the 8th born of their 11 children. Joel was a planter/farmer, and Phillip followed in that line of work according to all the census records that can be found for him. Joel and Phillip both lived in Richland County, South Carolina their entire lives. Phillip married Margaret FUTRELL sometime before 1860; their first child was born in the summer of 1860. The Civil War broke out, and Phillip enlisted. He was about 30 years old. 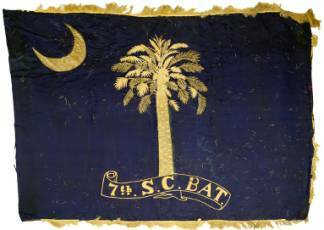 Phillip was part of the 7th Battalion of the South Carolina Infantry. 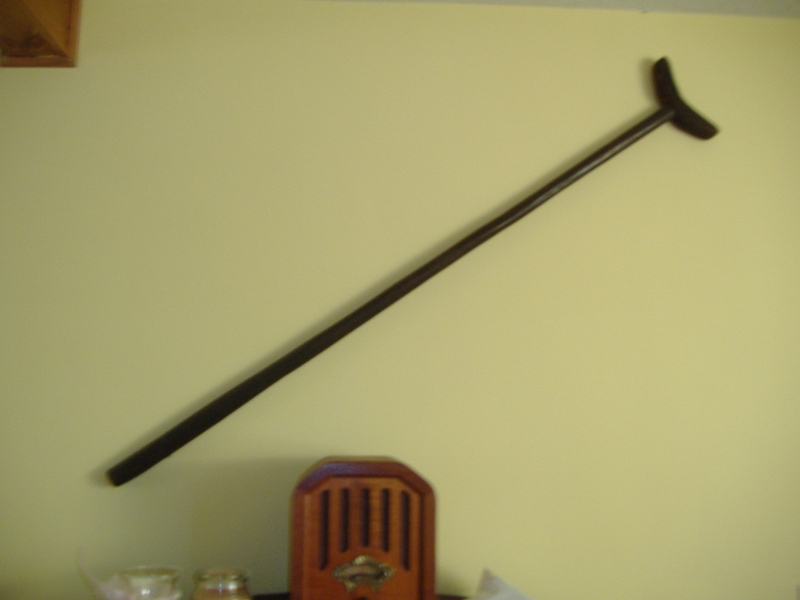 They were also known as Enfield Rifles. The Battalion fought in both Carolinas and in Virginia. On 16 May 1864, Phillip was wounded and captured at Drewry’s Bluff on the James River near Richmond, Virginia. As a POW, Phillip was transported from Virginia to Point Lookout, Maryland and eventually to Elmira, New York. The war ended, and he was released 27 June 1865 after signing an oath of allegiance to the United States. He had been a POW for over a year. On his release, it was noted that he had dark hair, dark eyes, a dark complexion, and he was 6 feet, 2 inches tall. Except for a painting of him as an old man, there is no other information about what he looked like. Phillip could have stayed in New York, but he wanted to return home. Using a crutch to help him walk, Phillip trekked over 700 miles back to his home and family in South Carolina. He resumed farming, and he was ordained as a church elder in the Methodist Protestant Church in 1866. Phillip’s crutch used on his journey home. Photo courtesy of S. Martin. For the next 34 years, Phillip both farmed and preached. He seemed to be a successful farmer. He is listed in the 1880 Non-Population Schedule of the census where he reported having about 250 acres of land, 3 working oxen, 3 milk cows, 15 swine, and 11 chickens. He also reported that in 1879 he had slaughtered 9 cows, made 150 lbs of butter, and produced several hundred eggs. Phillip Martin in his later years. Photo courtesy of S. Martin. The obituary goes on to say: He leaves a dear wife, five daughters, six sons, and many friends to mourn their loss, which is his lasting gain. This blog post originally appeared on this blog in 2015. It has been slightly modified for this posting. Interesting. I chose a POW to write about also. But my computer is illl, so it is delayed. My great-great uncle fought for the Union and was captured at Chickasaw. The South held him for about a year, returning him to his unit in 1864 in New Orleans. While he was imprisoned, his half brother died at the Battle of Vicksburg. That IS interesting! I look forward to reading yours. I believe it will come to my email box. What state was your gr-gr-uncle from?